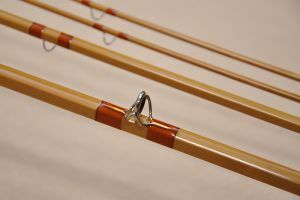 On this page I present to you some really unique rods. These were made with the highest level of craftsmanship and using unusual materials. 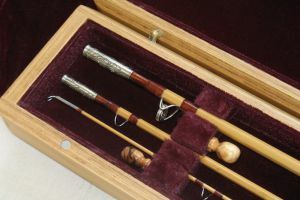 Each rod is unique and shows the art of rod building at its best. 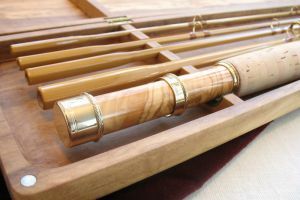 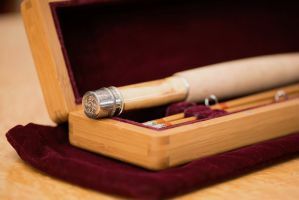 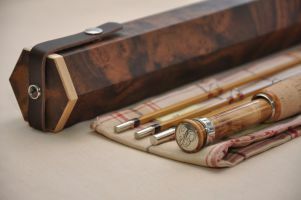 Travel rod in solid olive wood case, 5-pc with bamboo ferrules. 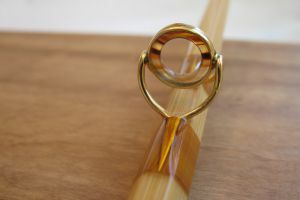 All fittings are 24k gold plated. 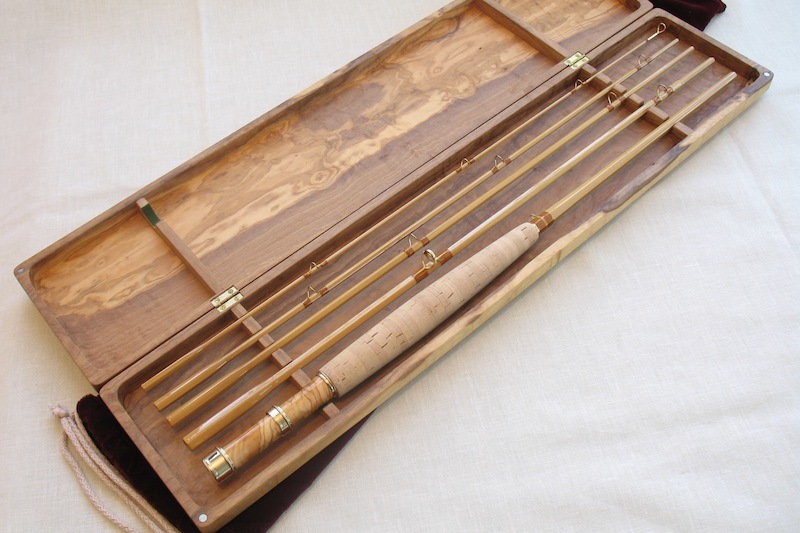 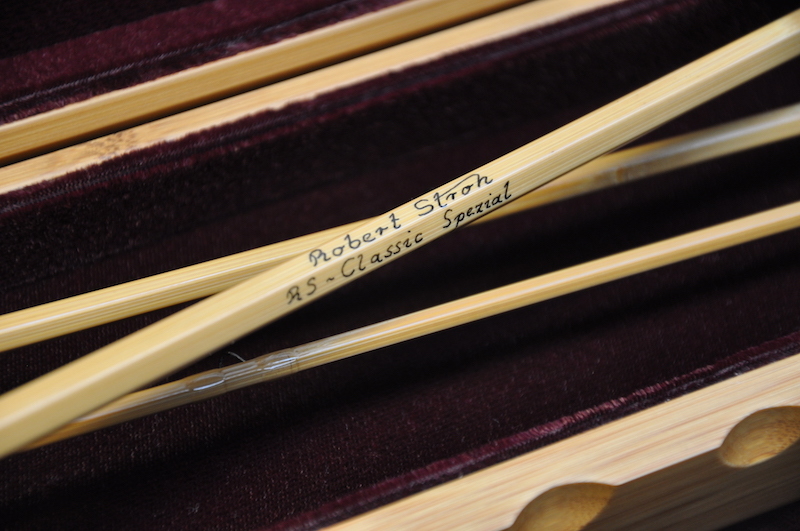 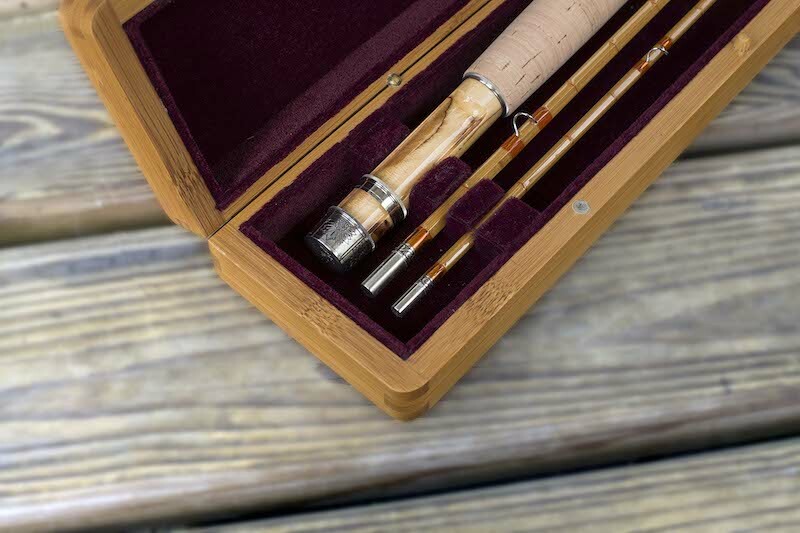 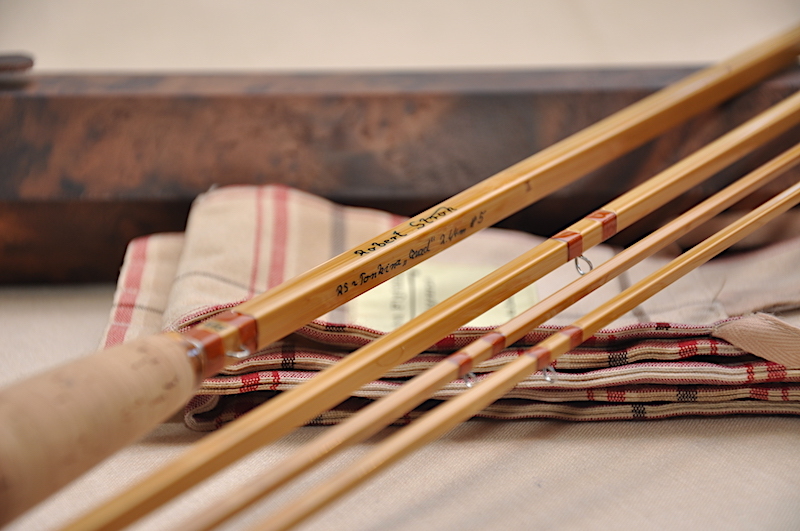 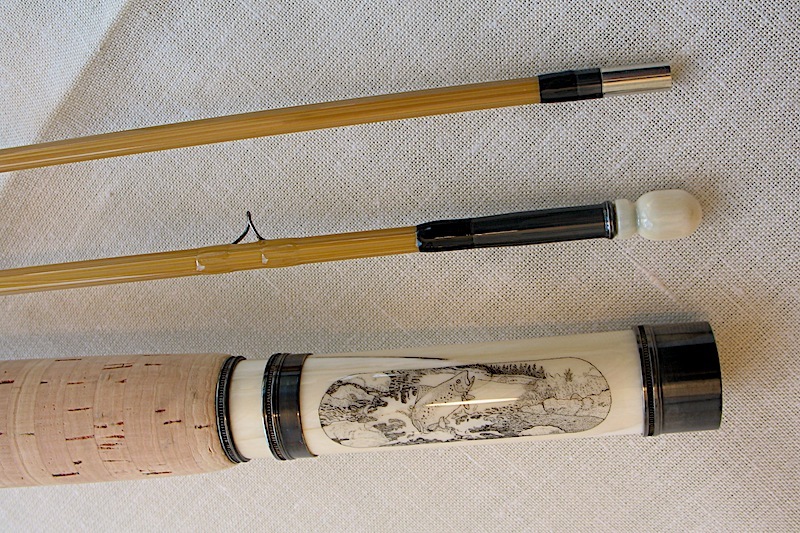 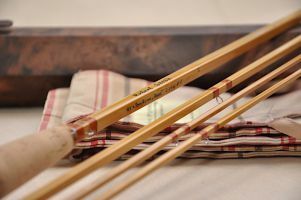 Fly rod in bamboo case, 3-pc with nickel silver ferrules. 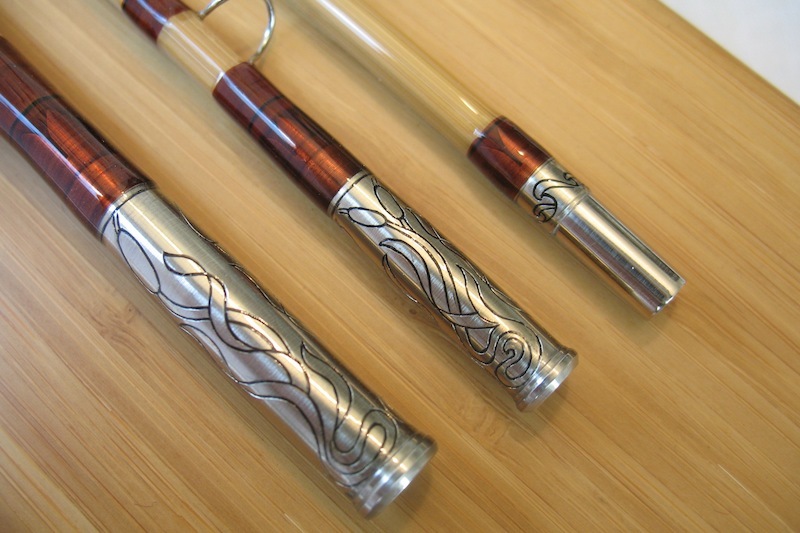 All fittings are hand engraved. 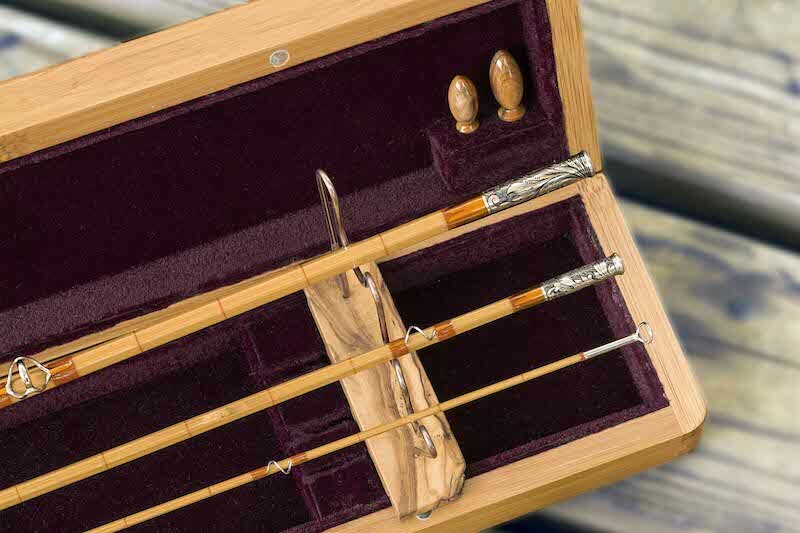 Fly rod in bamboo case, 3-pc with nickel silver ferrules. Reel seat from ivory with scrimshaw. 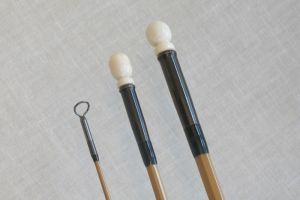 All fittings are blued. 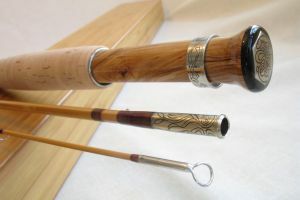 Fly rod in bamboo case, 3-pc with nickel silver ferrules and intermediate wraps. 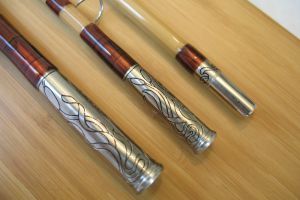 All fittings are hand engraved. Quad - Fly rod in hexagonal rod tube made of walnut wood, 3-pc with nickel silver ferrules.